£6,750 + VAT for size shown. 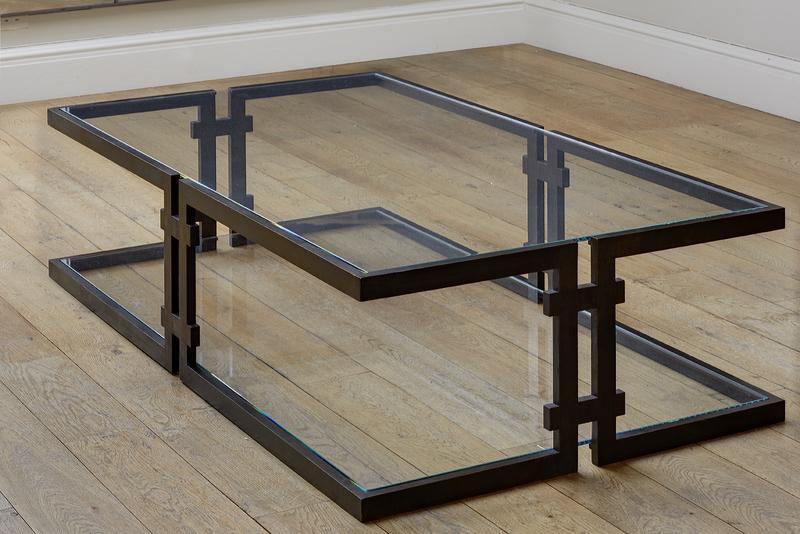 Large bronzed steel framed cantilevered coffee table with reinforced glass top and shelf. Standard size below but can be made to any size.